Marilyn J. Amey is a Professor and Chair of the Department of Educational Administration who teaches courses in the Higher, Adult, and Lifelong Education programs. 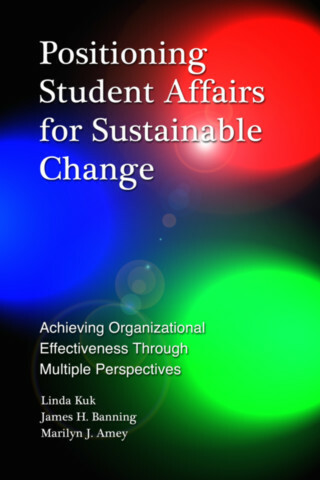 Her primary research area is leadership, and the postsecondary governance, administration, organizational change and faculty issues that fall within that larger rubric. She has particular interest in community colleges and the cultivation of new postsecondary leaders. Her current research involves serving as principle investigator of a project looking at K-14 partnerships, which builds on earlier work on interdisciplinary collaboration. She is co-leader of the evaluation team for a five university, NSF-funded consortium, looking at the evolution of interdisciplinary partnerships and academic work. She is co-author of Breaking Out of the Box: Interdisciplinary Collaboration and Faculty Work, with Dennis Brown, guest editor of an issue of the Community College Journal of Research and Practice, entitled: “Leadership as Learning: Rethinking Community College Leadership”, co-author with Linda Kuk and James Banning of Designing Organizations for Sustainable Change, and editor of Collaborations Across Educational Borders. Dr. Amey is immediate past editor of the NASPA Journal About Women in Higher Education, the 2005 Senior Scholar recipient of the Council for the Study of Community Colleges and its past President, the inaugural recipient of the Association for the Study of Higher Education’s Mentor Award and the chair of its Publications Committee. She teaches courses on administration and governance, leadership, community colleges and faculty.